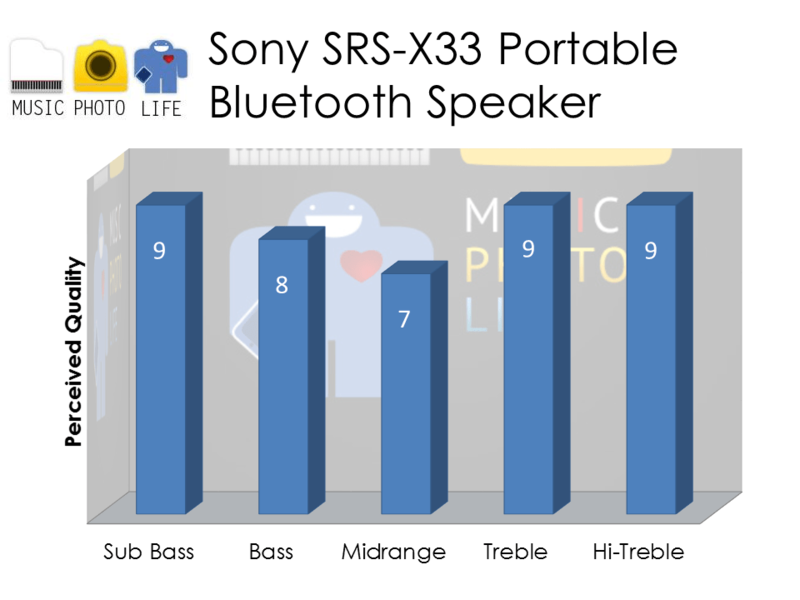 When Sony informed me of the availability of the latest X series Bluetooth speaker – SRS-X11, X33 and X55 – I chose X33 because I previously reviewed the SRS-X3 so it would be a good chance to check out the improvements. 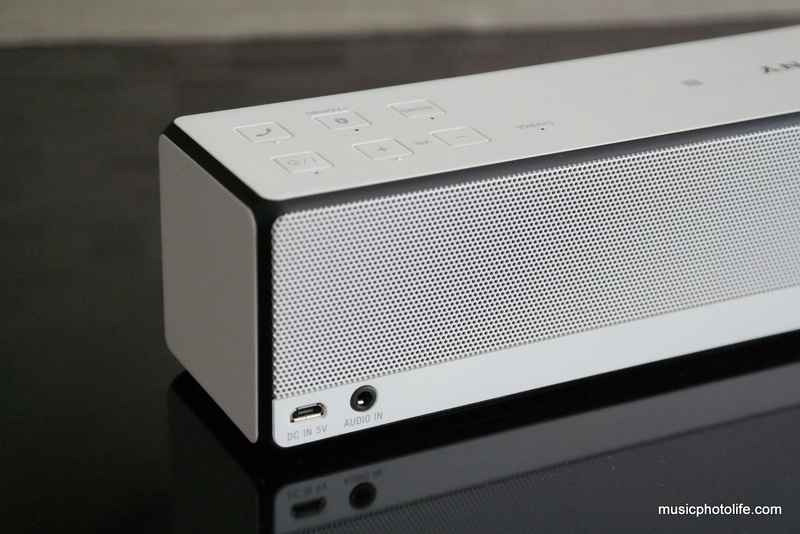 Previously, I compared the SRS-X3 favourably with my all-time favourite mini speaker, Bose SoundLink Mini. This time on the upgraded SRS-X33, I can hear similar sound signature as the X3, but I think the X33 bass response is improved to deliver more prominently deep magical subwoofer feel. Of course, the X33 supports voice calls compared to the Bose so it also makes an excellent teleconference device. And just like the X3, the X33 delivers hi-fi sound, with sparkling treble that easily fills the house. 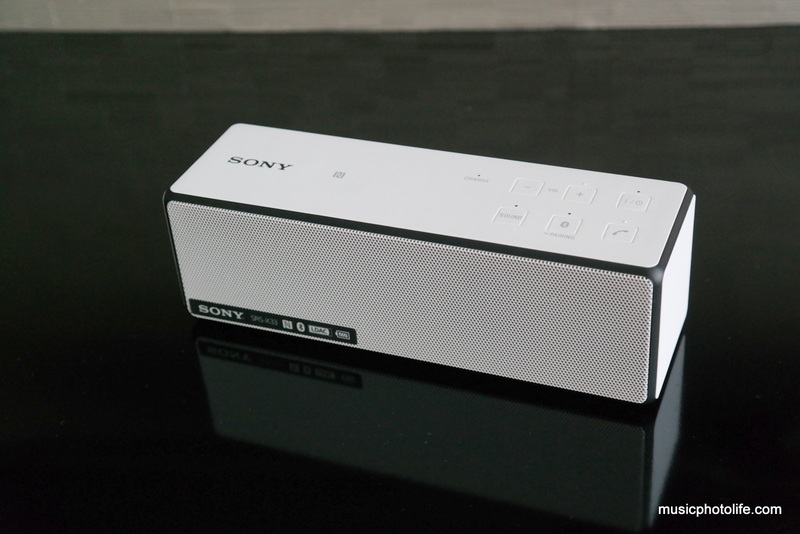 From another room, the X33 sounds so clear you wouldn’t guess it comes from such a small speaker. If you want a wider clearer sound, you can activate the ClearAudio+ with the press of a button on the speaker to accentuate the treble while providing wider sound staging but at a slight expense of the bass. If I were to nitpick, perhaps the X33 does not exude enough warmth. If your audio source is treble heavy, it might accentuate any compression defects. Also, the speaker is not physically built for extremely loud playback. I had the audacity to compare the X33 with my favourite home speaker, Audyssey SOMA which I bought in 2011. Guess what? They are comparable in sound clarity. What SOMA betters is its warmer tones and a more expansive sound since its speakers are much larger. But for convenience, I could replace it with the X33 for casual audio enjoyment. 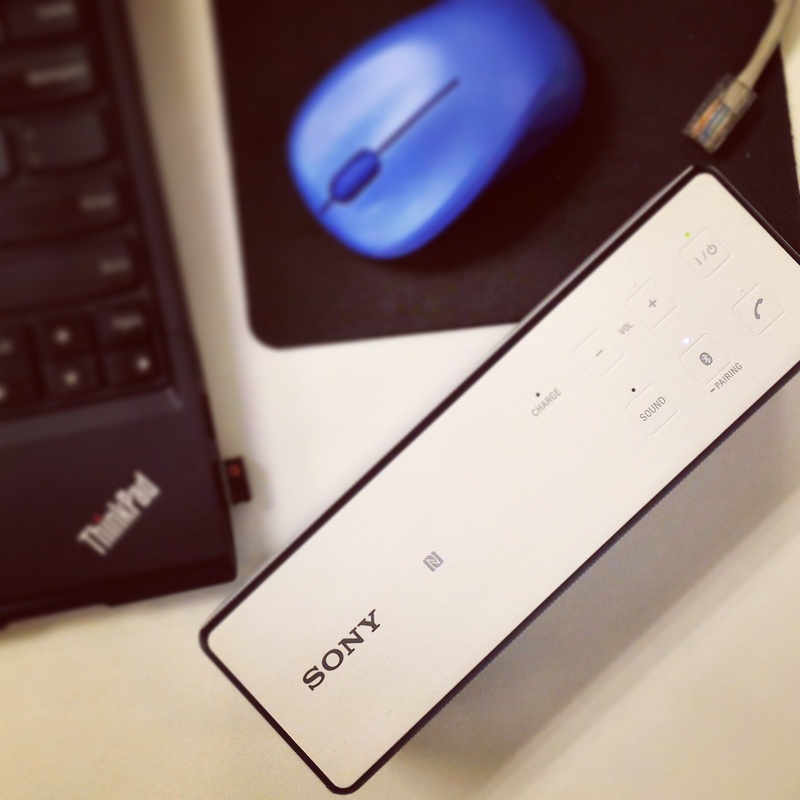 Sony X33 supports LDAC, a Sony proprietary wireless audio codec that transmits 3 times more data (990kbps) compared to SBC (328kbps), which downsamples the audio before transmitting over Bluetooth. 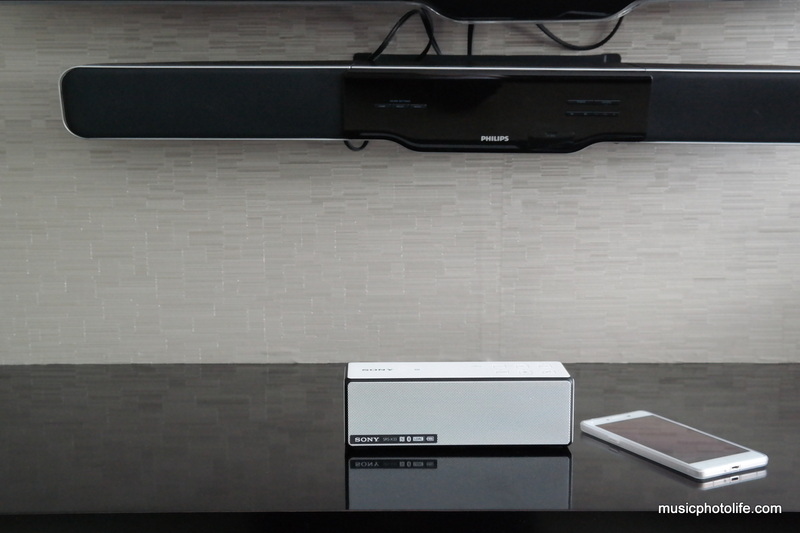 LDAC maintains the audio data and fidelity which ensures you continue to enjoy Hi-res audio even via wireless. When using the NWZ-A15 Sony Walkman which supports LDAC (after updating to V1.10 firmware) to test, I detected higher volume and consistently crystal treble without compression artefacts, which often occurs to Bluetooth audio. While the X33 might not be the best speaker to full enjoy Hi-res audio due to the limited frequency range, it made the X33 sound good to this reviewer. I do hope that the X33 could support USB audio like Creative Soundblaster JAM or the UB+ Eupho speaker so that I can get purer audio quality if I want to pipe music from laptops with inferior audio processors. The Sony X33 is easy to impress anyone with exceedingly clear treble that matches home stereo system, and reverberating subwoofer bass feel which makes any music stand out. It has marked improvements over the X3, and supports LDAC which works with the A15 Sony Walkman to deliver Hi-res audio wirelessly. The X33 will bring impeccable joy to listeners of well-recorded tracks from any genre. It is available in Singapore for S$199 at Sony Stores, Sony Centres, and authorised dealers, in colours variants of red, white or blue. Hi there, I just want to ask that among the X33, X55 and HG1, which is worth buying, I’m considering between X55 and HG1 caused of their similar price point, but after I read your articles about the 3, seems like the X33 is the best (the chart). My preference is that I need portable use, sound OK, a little heavy bass is welcome. *My negative view of the HG1 is that it’s design is not that cool, so it’s a draw back to me, and I like the design of the X55 and X33 very much. Tks and very appreciate if you reply to this. Hi, thanks for browsing my reviews. Among the products you mentioned, my favourite is X33, which sounds more musical for detailed music genres like instrumental and audiophile music tracks. But if you prefer to listen your music in loud volume, then go for X55. I definitely won’t go for HG1 unless you need WiFi audio and you are not particular in treble quality. Thank you very much for your advise, I will pick X55. About the HG1, I did some research and there are alot of complains about it on the internet so it’s a no. Hi Chester, I came across your blog reviews while searching for speakers for my bedroom. Would like to know which do you prefer/recommend between Sony X33 & JBL Flip 3? Or perhaps you have any other recommendations for affordable apeakers? Hi Raine, thanks for visiting my site for your reviews. Between the 2, I am definitely going with Sony X33 for its hi-fi quality, more naturally resonating lows, and more contemporary look, as the Flip 3 is more of a fun-looking speaker. If you have a higher budget, you won’t go wrong with metal-body Bose Soundlink Mini. Hi Chester, does X33 has a mute function? Hi, it does not have a mute button.